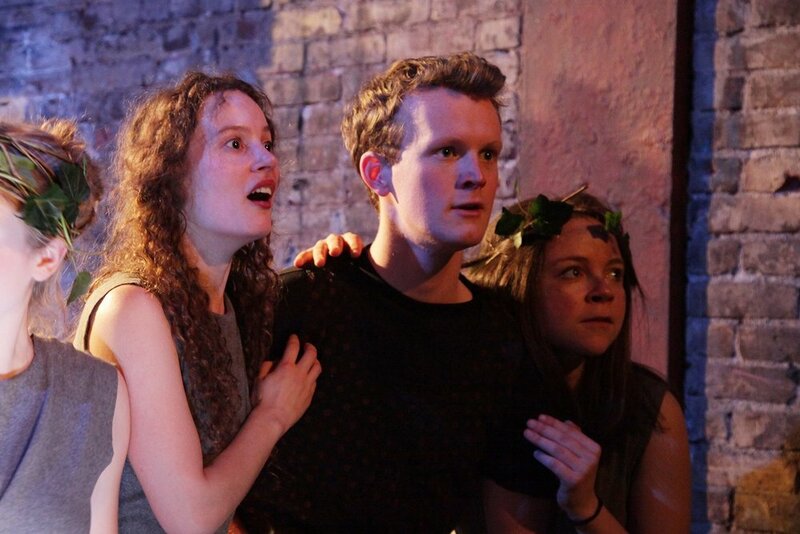 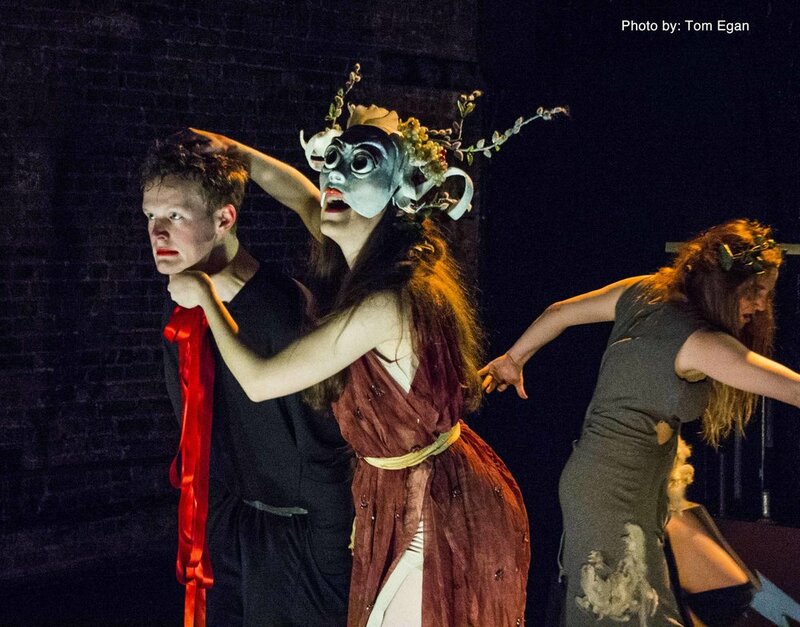 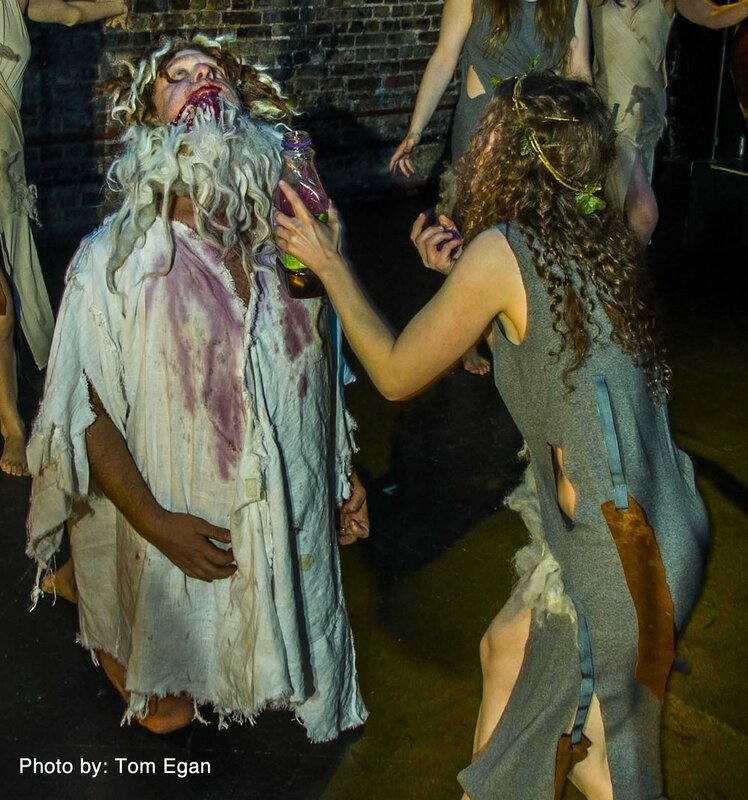 The Greek God Dionysus demanded ecstatic revels of his worshippers, and Faux-Real’s Bacchae won’t let him down. 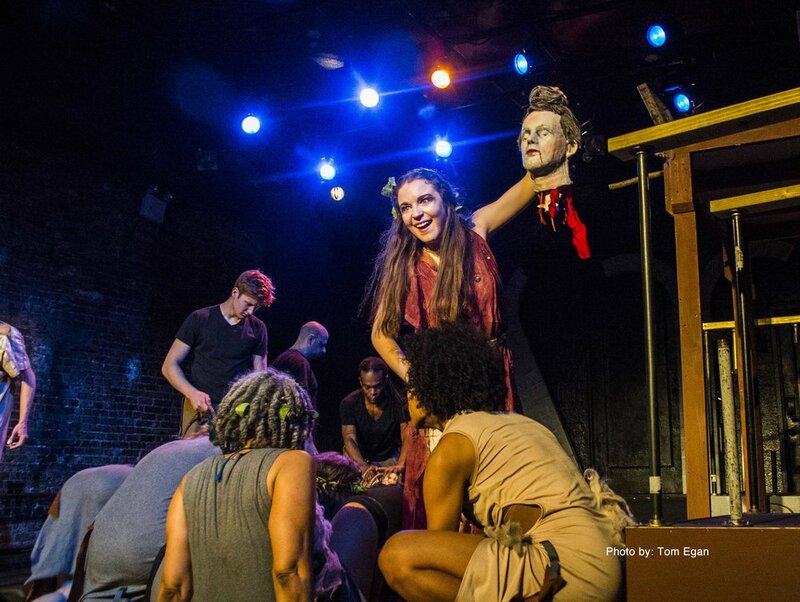 Filled with music, dancing, masks and breaches of nearly every description, Faux-Real’s avant-garde spectacle, is, in effect, a very loyal rendition of the 5th century BC tragedy by Euripides. 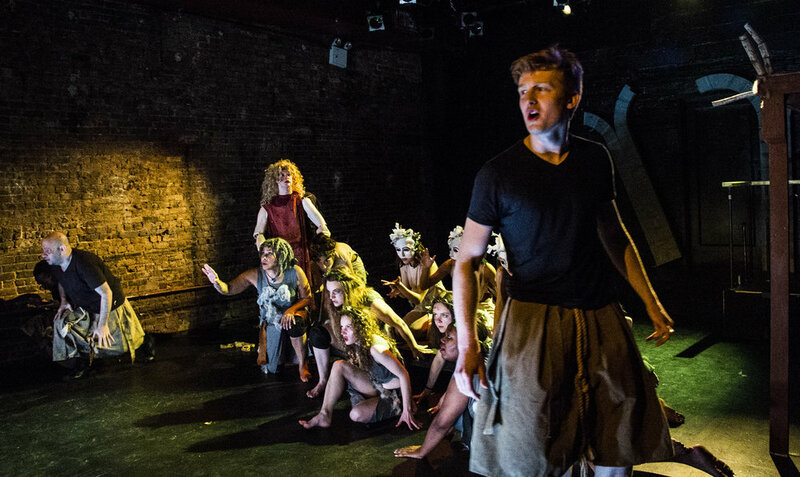 A feast for the senses, “The Bacchae” is raucous and metaphysical, challenging and celebratory… a communal party that ends with the ruler of Thebes getting really shredded. 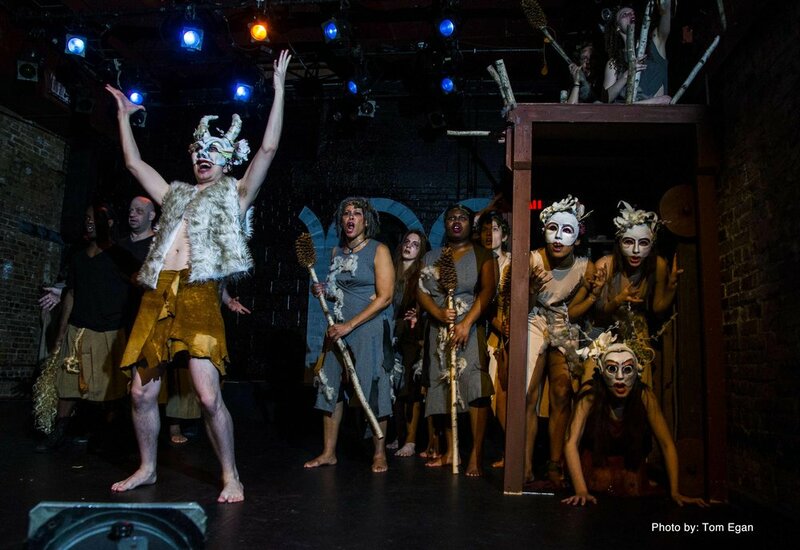 Directed by Faux-Real Artistic Director Mark Greenfield, “The Bacchae” features masks by Lynda White, musical direction by Tony Naumovski, and costumes by Irina Gets, set design by John Milano, and lighting design by Alejandro Fajardo. 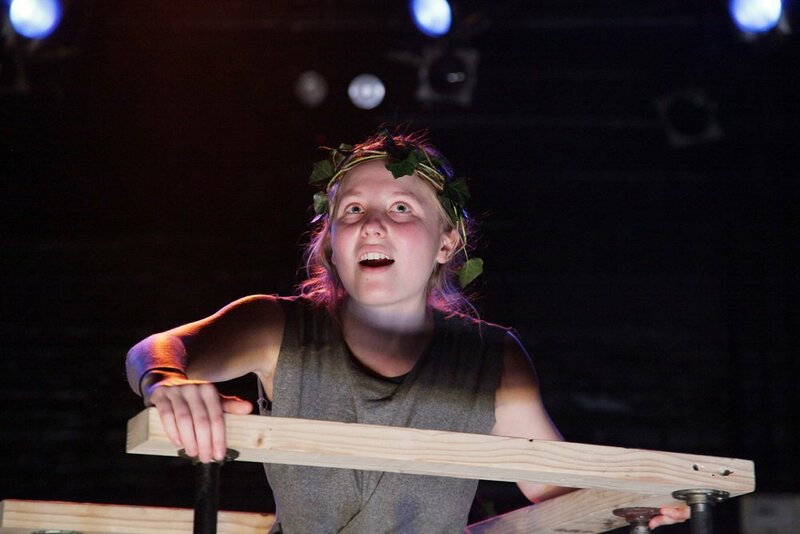 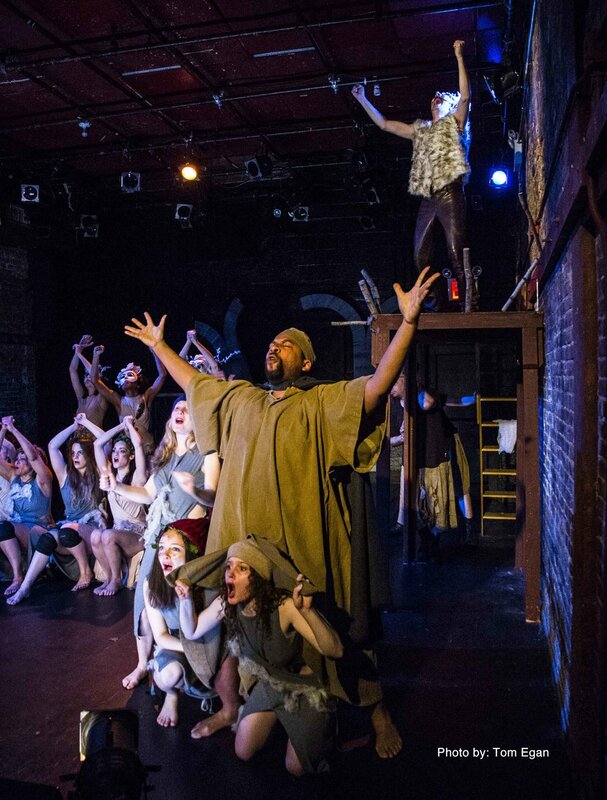 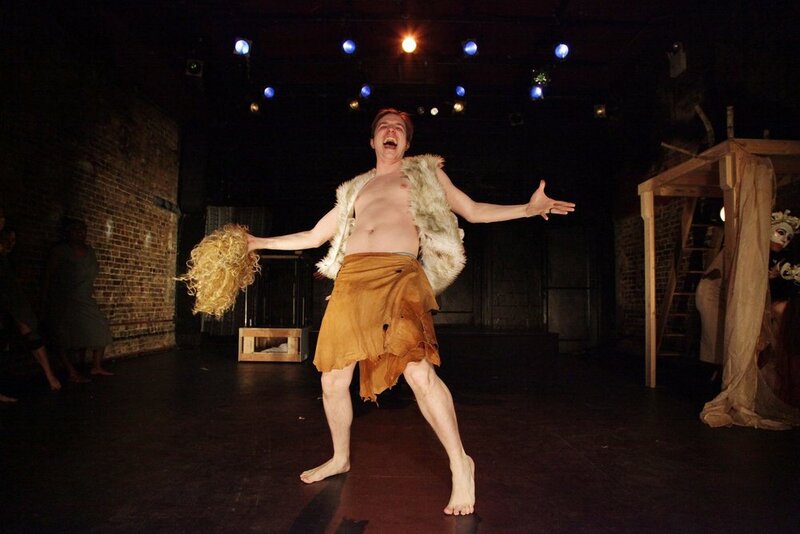 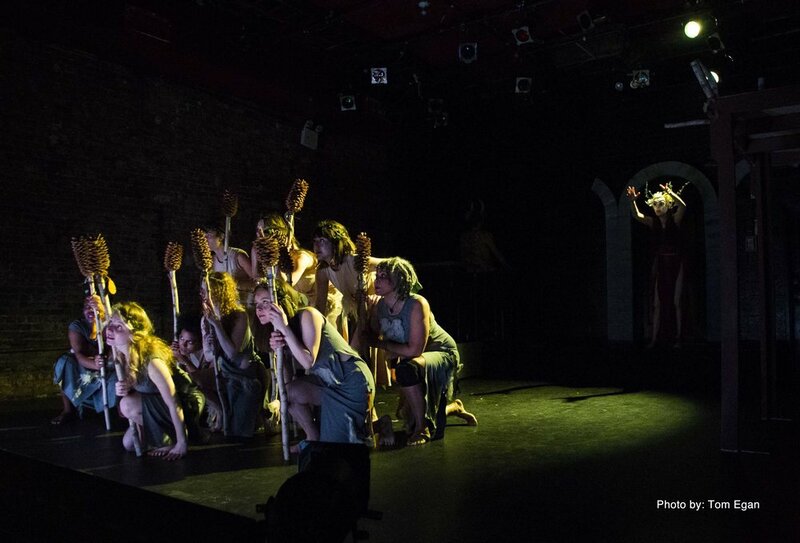 THE BACCHAE was performed at New York's La MaMa Experimental Theatre Club in March of 2016.